By CNN'S KAITLAN COLLINS AND JEFF ZELENY CONTRIBUTED TO THIS REPORT. (CNN) - President Donald Trump is expected to nominate State Department spokeswoman Heather Nauert to be his new ambassador to the UN, positioning a relatively inexperienced newcomer in one of the most high-profile positions in US diplomacy, according to an administration official and a second source. A senior administration official told CNN Nauert is "widely respected through the inter-agency process and has both a thorough understanding of the issues and a clear understanding of the President's positions" and noted that there is "a lot of enthusiasm" for her nomination throughout the administration. Nauert's appointment would realign power dynamics within the President's national security team. Pompeo has told aides he wants the UN position downgraded from the Cabinet-level job Haley had insisted on, an official familiar with his remark told CNN. Elevating Haley to a Cabinet level post broke with the tradition of previous Republican administrations. National security adviser John Bolton has been said to want the role downgraded as well, according to people familiar with his thinking. A former UN ambassador himself, Bolton has taken an interest in some UN matters, such as the International Criminal Court. The shift means Nauert would wield less clout than her predecessor, both at the UN and within the administration, and as a result, would pose nowhere near the challenge to Bolton, White House chief of staff John Kelly or Pompeo. The senior administration official said Nauert has "extensive experience in this administration in foreign policy and in representing the President's goals." Critics were harsh about the nomination. 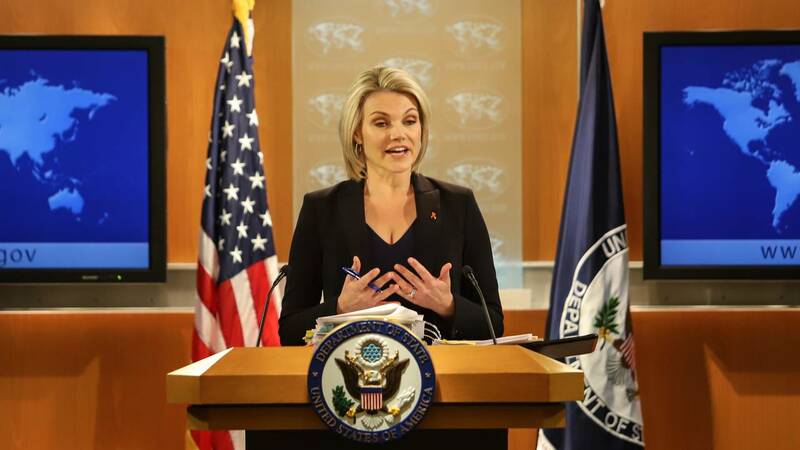 "Heather Nauert brings no experience, no understanding and, frankly, no interest in learning," said Brian Dixon, a senior vice president at Population Connection Action Fund, an organization focused on access to international family planning. "Her main claim to this role is her willingness to defend the indefensible as a spokesperson. It's hard to believe that this president could further diminish the view of the United States in the world, but this appointment is likely to do it."